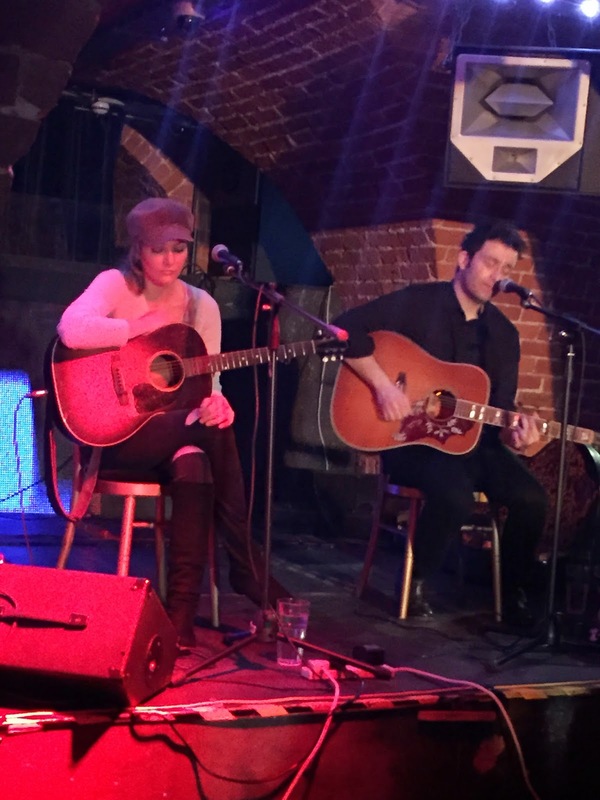 There could surely not have been a more appropriately located gig than listening to two stripped back roots artists plying their trade in a cavernous yet intimate bricked-interior vault venue. Ben Glover and Angel Snow rotated a bunch of career songs, anecdotes and comments to melt perfectly into the surroundings and reveal the substantial depths of their song writing repertoire. Perhaps the word heights would make a better analogy as both possess an innate talent to make an imprint in more expansive situations. 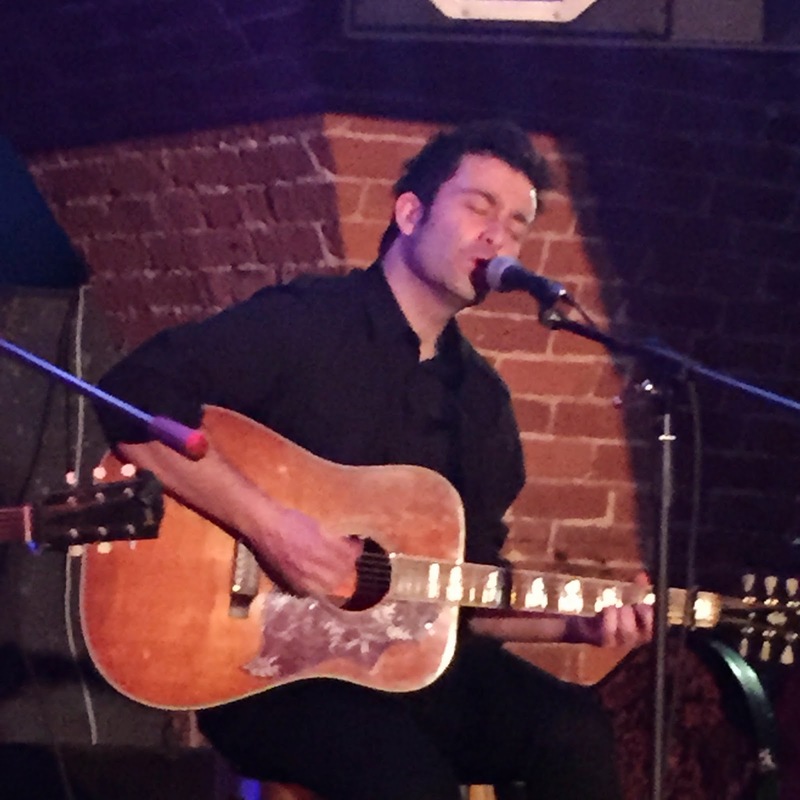 However life is best lived in the present and the good folk of Shrewsbury had an indulgent evening feasting on a show housed within The Buttermarket venue, witnessing two of Nashville’s fast emerging singer- songwriters. On an evening of contrasts beginning with gender, the most striking difference is the routes that both artists have taken to Music City with Ben crossing the Atlantic from the northern counties of the Emerald Isle and Angel having a shorter hop from Chickamauga, GA. Once marvelling at Angel’s ability to mix the pristine and the cutting, and connecting with Ben’s more earthy raspy style, the differences begin to narrow as we delve into their song writing output. Best described as a pair of performers delivering alternate songs rather than a duo, they do both share esteemed connections which have given them major career lifts. Ben’s association as a co-writer and opening act for Gretchen Peters and Mary Gauthier brought him to the attention of many new fans followed by the ultimate ‘stepping out the shadows’ record with the release last year of ATLANTIC. There is certainly no lesser song writing acquaintance for Angel which led to the good fortune of having three of her tracks cut on Alison Krauss’s 2011 record PAPER AIRPLANE. The centrepiece of Angel’s many turns in the spotlight was undoubtedly a magical version of the beautiful ‘Lie Awake’, one of the co-writes with Alison’s brother Viktor. This was closely followed by ‘Vienna’, a song about a dream which meandered its way splendidly through to your heart. Elsewhere she mixed older tunes like ‘Holiday’ with some new ones yet to be recorded such as ‘Magnetic’. While Angel is in the process of following up her successful self-titled 2012 album, she did present a couple of tracks from a newly available EP titled SECRET. The title track saw a rare accompaniment of Ben on guitar, while the other number played was ‘I Need You’. Both songs sounded great in this setting and format, although Angel did intimate during the break that the recorded version had a different rock feel to them. 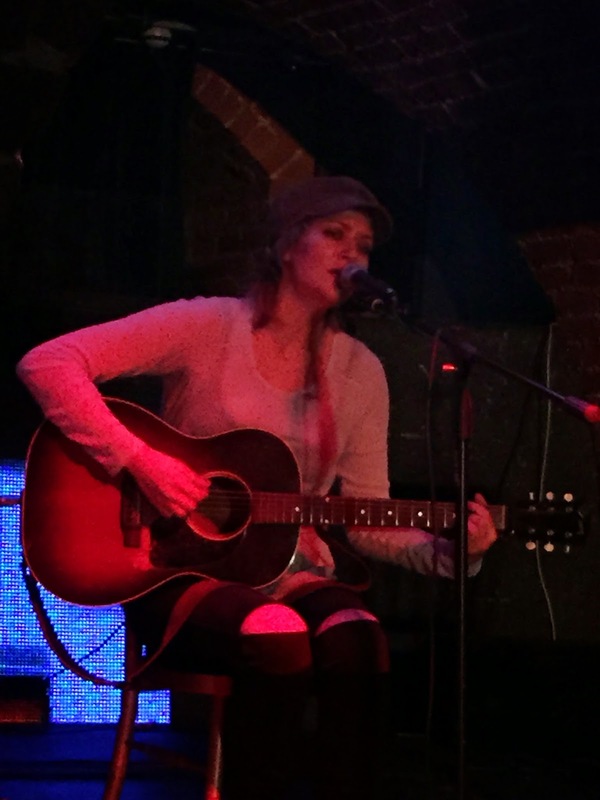 Several post-gig plays certainly confirm her view as the style is a deviation from the classic female folk Americana vibe to more indie rock and akin with some of her earlier influences such as Thom Yorke and Robert Smith. However Angel is an eclectic performer prepared to experiment and should be commended for following her heart. Ben shows no intention of hiding his love of Americana music and how the ultimate pull of its southern roots meant the Mississippi was a greater inspiration than the Lagan. The old river lent its name to one of the best songs on ATLANTIC in ‘The Mississippi Turns Blue’ and also amongst the highlights this evening. The other Gretchen Peters co-write served up was ‘Blackbirds’ and on the week before she tours the UK with the album of the same name, it is a good reminder to appreciate Ben’s contribution to a magnificent song which, while dark in content, is luminous in appeal. A personal favourite from the album to feature in this evening’s pair of roughly 45 minute sets is Ben’s finest hour, or two, with Mary Gauthier and the resultant emotion sapping spiritual number ‘Oh Soul’. Of course the stories and quips began to flow as we learned the connection between South America, coke and ‘Whatever Happens Will’, although the uplifting ‘Sing a Song Boy’ needed little introduction. As this evening of symmetrical talent and appreciation drew to a close, the differences re-emerged in the form of a pair of covers to end proceedings with a duet version of Dylan’s ‘You’re Gonna Make Me Lonesome When You Go’ and Angel leading on U2’s ‘All I Want is You’. For two esteemed song writers the covers presented a moment of lighter fun as by then the brickwork would have absorbed any sceptics. It was definitely a good move for the New Twang promotion to re-locate this gig to a setting absolutely perfect for Ben Glover and Angel Snow to share the fruits of their gift to entertain.